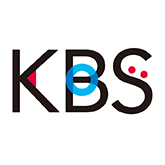 RECRUITMENT | KBS CO., LTD. Language Service Provider - Multilingual Translation, Printing, Web Creation and DTP. If you have a resume in Word or Excel ready, you may send it to us by attaching the document. Please be aware that the application form may not be sent properly depending on the browser used. CopyRight© 2014 KBS CO., LTD. ALL Rights Reserved.